Spanish long-distance runner Ilias Fifa was detained by police on Wednesday in an anti-doping operation in Barcelona. BARCELONA, Spain (AP) - Spanish long-distance runner Ilias Fifa was detained by police on Wednesday in an anti-doping operation in Barcelona. The 2016 European champion in the 5,000 meters was among 11 people detained by Spanish authorities as they dismantled a ring that is suspected of selling illegal substances. Reigning European 5000m champion Ilias Fifa was arrested in Barcelona as part of a doping probe, sources of the investigation confirmed. Nice to see CRIMINAL CHARGES involved. Wait, salt and coffee were used to adulterate the samples? That’s a new one. And if it’s closed, is there any way to pin the old Drugged to the Gills thread at the top? There’s hours worth of info on that thread and I’d really hate to see it just continue to drift down in to obscurity. I still think that on the whole, that was the about the best PED discussion I’ve ever seen online. 1,000 Russian athletes implicated in doping coverup. Agree I’d like to see it easily available for reference even if it is .closed. 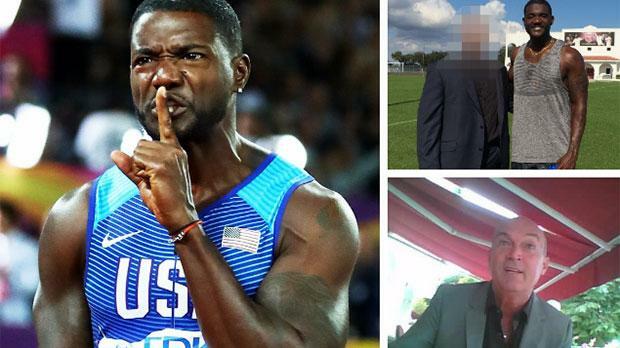 Justin Gatlin, the world 100 metres champion, is at the centre of a new doping scandal after members of his team offered to illicitly supply performance-enhancing drugs. Not a lot of factual info in that other than ‘knowing how to get and use’ everyone who has read this To The Gills series of posts would know that. Anyone who thinks the drug testers are as sophisticated as the designer drug makers is delusional.